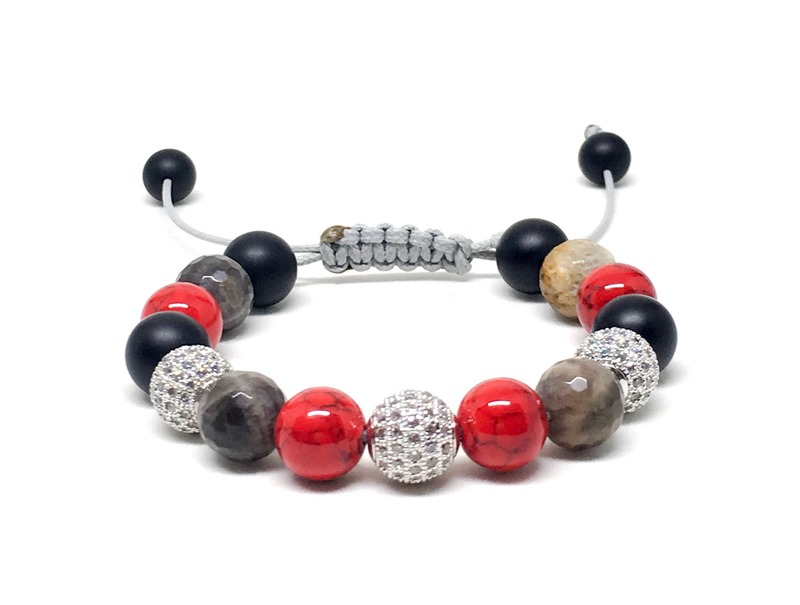 Beautiful women’s beaded bracelet made with 10mm Red Jade with Striping, 10mm Chocolate Sunstone, 10mm Matte Onyx and 10mm Cubic Zirconia Silver. Physically, sunstone is used in crystal healing for general health, physical energy, sexual dysfunction, increasing sexual energy, depression, phobias, stress related illness. Note that healing crystal meanings are spiritual supports to healing and are not prescriptions or healthcare information. Sunstone is primarily associated with the sacral chakra. Cubic zirconia (CZ) is the cubic crystalline form of zirconium dioxide. The synthesized material is hard, optically flawless and usually colorless, but may be made in a variety of different colors. It should not be confused with zircon, which is a zirconium silicate. It is sometimes erroneously called "cubic zirconium". 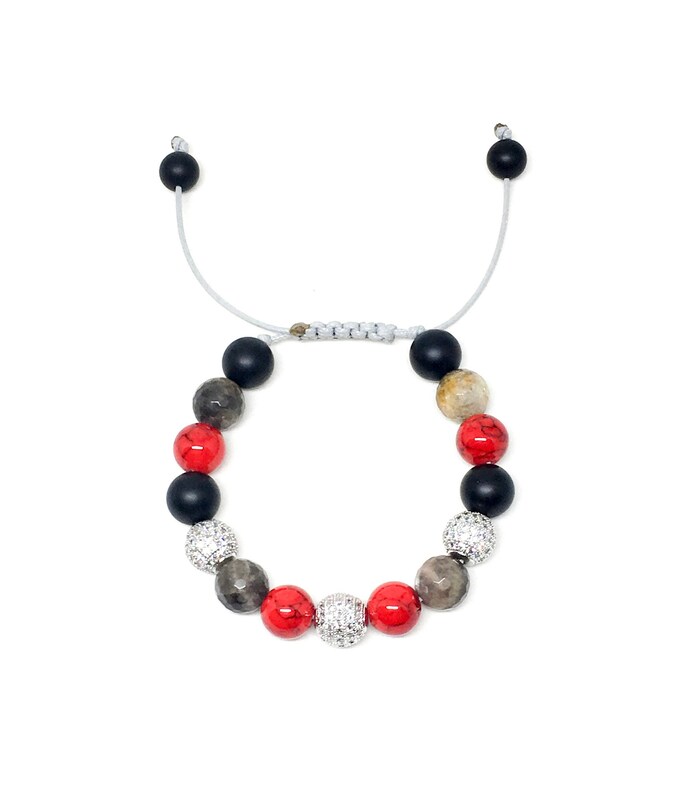 This beautiful women’s beaded bracelet comes in a customized Sill Suede Pouch with our logo.